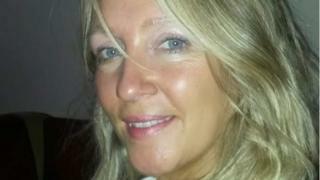 A woman who was found dead at a flat was "generous to a fault", her family said paying tribute. Lisa Chadderton, 44, suffered a number of injuries and she was found dead at a flat in Topping Street, Blackpool, on Monday after reports of an assault. A 56-year-old man, from the seaside resort, has been charged with murder. In a statement, the family of Ms Chadderton - who was originally from Tredegar in south east Wales - said they are "devastated". "She had an infectious personality. "She was the life and soul of the party, always smiling and thinking of others. "She was generous to a fault, often putting others before herself," the statement added. Mark Tindill, of Topping Street, appeared before Blackpool magistrates charged with murder and is due to appear at Preston Crown Court on Friday.